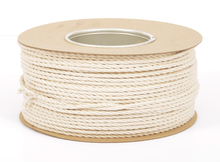 Everlasto natural twisted cotton rope - 6mm x 10m. 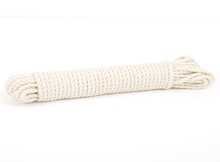 This cotton rope is smooth and soft to the touch and is unbleached giving it an ecru colour. These soft natural cotton ropes are perfect for use in upholstery as well as many other decorative and craft applications. Everlasto natural twisted cotton rope - 6mm x 25m. 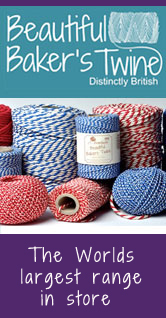 Our cotton rope is smooth and soft to the touch and is unbleached giving it an ecru colour. Everlasto natural twisted cotton rope - 6mm x 50m. Everlasto natural twisted cotton rope - 6mm x 100m.